Emmy® Winner Louis C.K.’s acclaimed series returns for a fifth hilariously unfiltered season. His career may be in full swing, but Louie’s still a lonely guy. From showing up at the wrong potluck and accidentally inducing a surrogate mom’s labor, to getting beaten up by a lady and having potty issues in public, he just can’t seem to get things right. Topping it all, Pamela’s (Pamela Adlon) relationship terms aren’t what he’d hoped for. As warm as it is satirical, and featuring guest stars including Michael Rapaport, Matthew Broderick and Jimmy Fallon, the fifth season of "Louie" delivers wry, original humor, outrageous stories and compelling performances. 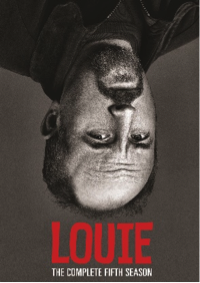 “Louie” The Complete Fifth Season Available on DVD Now.